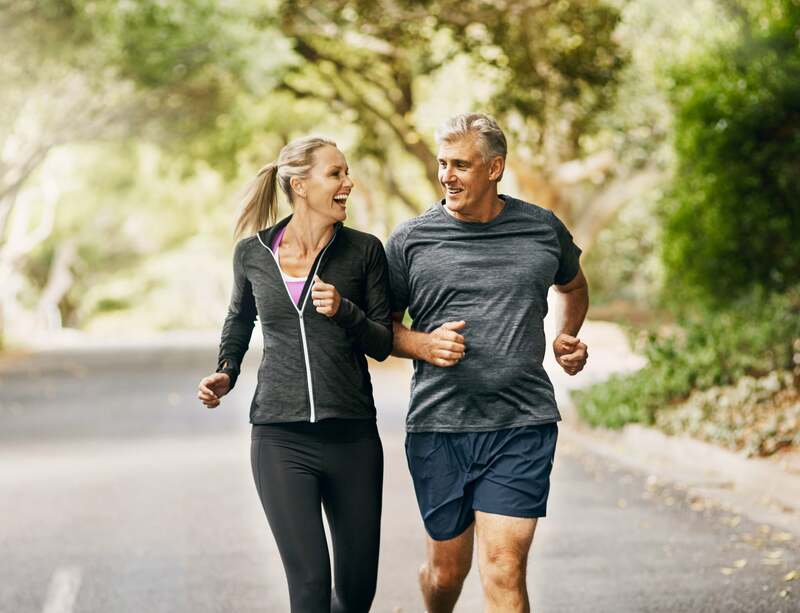 Luckily, Strauss Zelnick, founder of Zelnick Media Capital, chairman and CEO of Take-Two Interactive Software, Inc., and author of the book Becoming Ageless: The Four Secrets to Looking and Feeling Younger Than Ever, shared his tips with us on how to start getting in shape at any age. Since he has been dubbed “America’s fittest CEO” by Men’s Health and Best Life, Strauss, 61, knows what he’s talking about. Spoiler alert: it doesn’t require a complete lifestyle overhaul. “The best way to make change that is lasting and meaningful is to start slowly and gently,” Strauss told POPSUGAR. “If you can ask very little of your body initially, then your mind is more likely to follow.” He recommended to first assess some of your unhealthier habits: if you’re still drinking soda or fruit juices, cut those out. If you still smoke, quit. If you live a mostly sedentary lifestyle, grab a buddy and try walking for 30 minutes once a week. “When you realize that’s actually fun and not hard, make it twice a week,” he said. “And then when you realize that’s fun and not hard, start doing very simple calisthenics for 10 minutes once a week. And then maybe make that twice a week; now you’re moving four days a week.” After you do that for a month or six weeks, Strauss suggested doing more bodyweight exercises at home or even joining a gym. Another simple step to ensure better health in middle age? Go to your doctor and get a physical. Just assessing a baseline of your overall health is a great place to start to figure out what you need to do next, and listen to your doctor for his her or recommendations. Strauss is also a believer in finding a spiritual connection, but that doesn’t have to be a religion necessarily. In addition to getting your body moving and assessing your physical and spiritual health, Strauss said nutrition plays an important role. His book is full of healthy, simple recipes you can whip up in no time that are much more nutritious (and not much more expensive) than hitting up a fast food drive through. In general, he recommended cutting down on refined carbs, alcohol, and added sugar, since these are all empty calories that can spike your blood sugar. Although you may not be able to give them up entirely, the less often you eat them, the better off you’ll be.